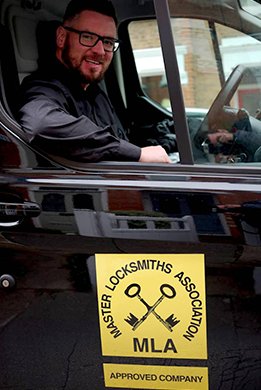 IKS Locksmiths are North London based security specialists experienced in Master key suite installation. We are Master Locksmiths association approved. We provide high quality master key lock systems for highly competitive prices! Just call us for a quote and you will see that as mobile Master locksmiths we can offer excellent prices and are experienced and knowledgeable in master key installations. 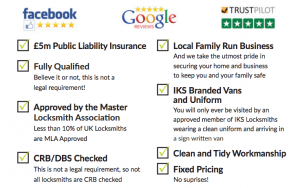 Why Choose IKS Locksmiths for Master Key Suite Installations? We use only high quality locking products and our standards of workmanship and customer service are second to none. Why Choose a Master Key Suite? If you have multiple doors and multiple users a master key system is for you! If you would like to know more about master key lock systems visit our “What is a Master Key Suite?” page for more information. If you are looking for a London locksmith with expertise in master key locks and professional master key suite installation give us a call to discuss your requirements. We are North London based MLA approved locksmiths you can trust. We fit master key systems in North London, London, Hertfordhire and beyond. We cater for a range of budgets and will advise you on the best solution for your individual circumstances.